I think it’s safe to say that scholars of Ulysses S. Grant are tired of constantly talking about his drinking habits and addressing whether or not he was an alcoholic. They understand, however, that such debates “come with the territory” of studying Grant and that they will not be going away anytime soon (although I’ve personally observed that folks from the 1960s Centennial generation are more interested in talking about it than millennials such as myself, which is probably reflective of how we learned about Grant in school). I for one get tired of talking about Grant’s drinking, but I don’t get so tired as to ignore questionable claims that cross my path. Historians these days ignore evidence of Grant’s drinking, then pat themselves on the back for “mythbusting.” USG won. But he also drank. Anyone who thinks Grant drank, but never to excess/never impacting his duties, doesn’t know much about drinking. Or drinking whiskey. First of all, Mr. Jackson’s Arm engages in a strawman argument by suggesting that historians today ignore evidence of Grant’s drinking and deny that he even drank in the first place. All historians of the Civil War era that are worth their salt acknowledge that Grant drank, including his time during the Civil War. There’s nothing to hide and no one’s ignoring that evidence. The real debate among historians then and now revolves around the extent to which Grant’s drinking habits influenced his actions in the field and, more broadly, the overall role of drinking in his life. That debate requires more thoughtful analysis that goes beyond painting Grant as a sinner or a saint or as a teetotaler or alcoholic. Generally speaking, it’s true that contemporary historians have questioned older narratives about Grant’s alcoholism and have come away with a more forgiving interpretation (James McPherson, H.W. Brands, and Joan Waugh, for example), but to argue that these historians are trying to make Grant a “saint” is just silly (although Edward Bonkemper does push the line at times in his book on Grant’s generalship). Revisionism is fundamental to historical inquiry, and it’s more than fair for today’s historians to question and revise past understandings of Grant’s drinking. This is especially the case here because older historians like W.E. Woodward relied on questionable and contradictory claims from Grant contemporaries like Henry Halleck, Sylvanus Cadwallader, and Charles A. Dana. Another factor we need to keep in mind is the need to avoid “presentism.” In other words, we too often view Grant’s relationship to alcohol through the eyes of our own twenty-first century perspective on alcoholism rather than understanding nineteenth century cultural views towards alcoholism. What did it mean to be an alcoholic in the 1800s? What was too much? How did nineteenth century Americans view alcohol from a medicinal standpoint, and how did these views shape drinking habits? How did Grant fit into this context? One book I plan to read in the future on drinking in nineteenth century America is W.J. Rorabaugh’s The Alcoholic Republic: An American Tradition. Now, Mr. Jackson’s Arm does make a fair critique of historians who say that Grant never drank to excess or that he never drank when it impaired his duties on battlefield. Joan Waugh has made arguments of this sort, and you can read a similar argument in this article by Brian J. Murphy. I don’t buy that argument for the simple fact that you can’t predict when your duty as a general will call on the battlefield. 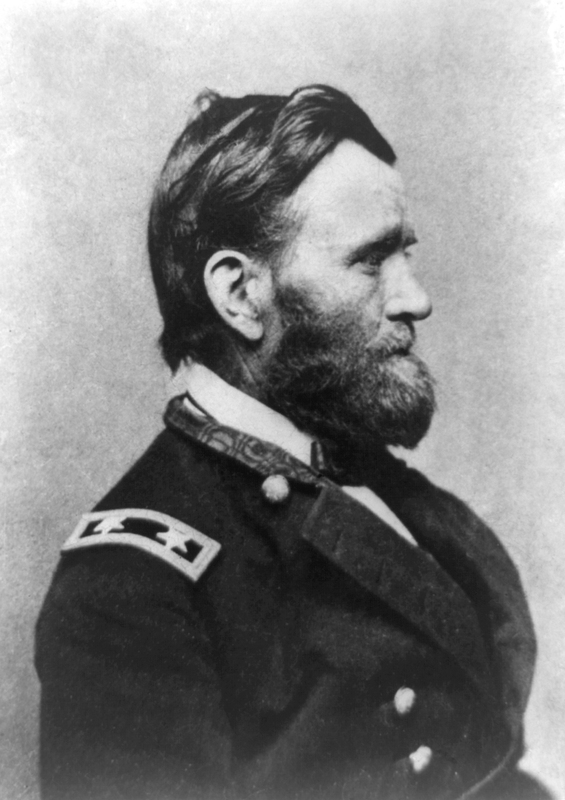 You can’t predict with full certainty when a battle may or may not occur, and it seems flawed to suggest that Grant only chose to drank at the most opportune times. Being a general is a 24/7 job. It never seemed possible to me (and I have thought about it often during the months since December 1941) that a man who so constantly under the influence of liquor could have pursued a single course so steadfastly, could have accepted frequent failures of subordinates without losing his equilibrium, could have made numbers of close decisions which involved a nice balance between risk and advantage, and could have maintained the respect of such men as Sherman, Sheridan, Meade and, above all, President Lincoln. Very thoughtful analysis of the debate. That Twitter account followed me the other day. The notification that “StonewallJacksonsArm followed you” definitely gave me a chuckle. Thanks for the kind words, Kaci! Yes, he/she gave me a chuckle too, but I really do like the account, which is pretty humorous sometimes. My apologies for being late to the party—I didn’t see this when you first put it up. (Damn that “real life” stuff!) Michael Ballard did a good job of totally debunking the “Yazoo bender” fable in his book on Grant at Vicksburg.